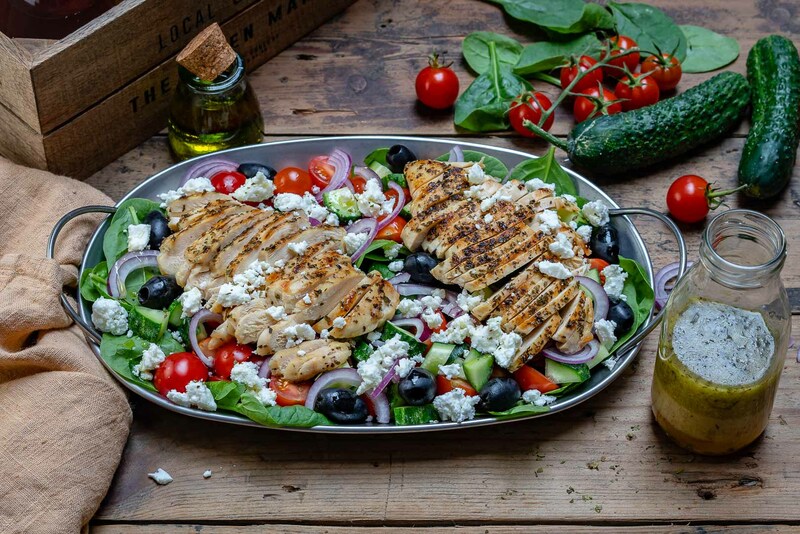 A low-calorie, low-carb, and super healthy grilled chicken salad recipe that you can incorporate in many healthy diets, including Mediterranean or Clean Eating. 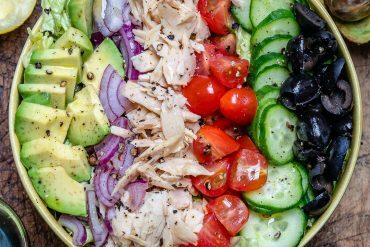 Today I am going to show you how to make a grilled chicken salad that fits perfectly in many weight-loss diets because it is low-calorie and low-carb, but at the same time offers plenty of proteins to feed our muscles. 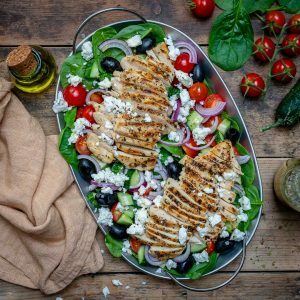 Some of the most popular diets that include this healthy grilled chicken salad recipe are Mediterranean and Clean Eating. I know, you’ve had enough dull chicken breast to last you a lifetime. And that’s the issue with many weight-loss foods. They are bland! There’s no way to put it nicely, it is what it is. And when you have it for weeks, sometimes months in a row, you even forget that tasty food can actually exist. Luckily, this is not the case. Today I will show you how to make a grilled chicken salad that’s not just healthy, but also full of taste and flavor. Yesss, that can actually be real! And the best thing? It’s incredibly easy. The base of this salad is a normal Greek salad with spinach, which even a kid can make, right? So we need to focus more on the chicken because that can ruin the whole dish if cooked the wrong way. But don’t worry, I’ve made a long list of tips and tricks to help you make the best grilled chicken salad recipe ever. 1. How to cook the chicken fast and evenly. First, you need to pick the right piece of meat. 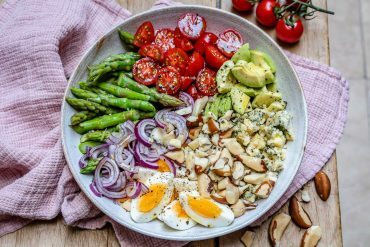 Keep in mind that large cuts take longer to cook so if you want to make a healthy grilled chicken salad in just 30 minutes, it’s best to pick small pieces of boneless, skinless chicken breast. 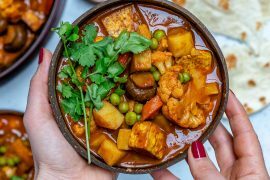 The pieces should be thin and similar sized to cook evenly. If they are thick you’ll have to pound them to make them thinner. If they are too large you can cut them into smaller pieces. This will decrease the cooking time considerably and will get the chicken cooked evenly. Picking skinless chicken cuts will not only decrease the prep time, but it will also help you lose weight because the skin contains fat. Hence, this is the best choice if you’re on a diet. 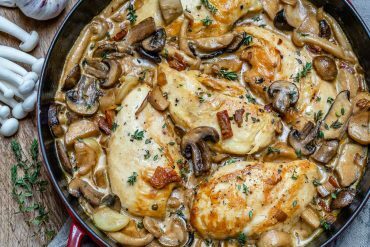 One piece of advice that I keep repeating throughout my recipes is that you should bring the chicken to room temperature before cooking. Otherwise, it will dry out on the outside quicker than it cooks on the inside. 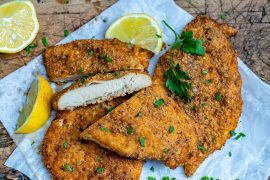 I am sure we all know how dry, crusty chicken breast tastes like, right? So after taking it out of the fridge, let it sit on the counter for about 30 minutes before cooking. You could use this as an opportunity to marinate it and I am going to explain to you how in the next step. 2. How to make grilled chicken salad tasty. If you’ve been reading my blog for a while, you know that I always like to marinate all meats before cooking. This step is very important because it makes it flavorful, tender and juicy. Otherwise… well, we all know how dull grilled chicken breast can be, don’t we? And not just dull, but dry and even choky. If you don’t have the time to marinate it, just rub it well with your favorite spice mix and some olive oil before cooking. 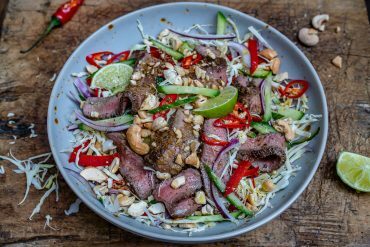 But if you’ve got the time (and it doesn’t take long at all) you can marinate it in the fridge for at least an hour. And for best result, leave it overnight. The meat will literally soak up all flavors and it will get tender. It’s worth noting that homemade marinade is better than store-bought. 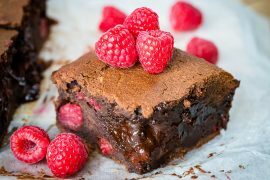 That’s because store-bought contains lots of sugar and salt, so you have to read carefully the ingredient list if going for it. 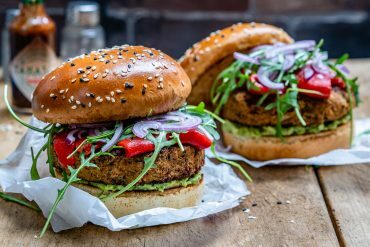 Now that you know how to cook the meat and make it tasty, I am going to tell you how to make grilled chicken salad without an outside grill. 3. How to make grilled chicken salad without an outside grill. or charcoal grill. But how do you cook it indoors, without burning up the kitchen?
. Sure, you could also fry it in a pan, but the recipe would be slightly different so we’ll leave that for some other time. And one of the most important steps of this recipe is that you need to pre-heat the grill before cooking. So after marinating and bringing the chicken to room temperature, this is what you must do if you want to make the best grilled chicken salad recipe. Then you should rub some oil on it to keep the meat from sticking. And how can we tell when the chicken is done? Cut into the thickest part and if the juices run clear and it’s no longer pink on the inside, that means it’s done. into the thickest part and it should read 165F/75C. If the meat has bones make sure you don’t hit them as it can show a false temperature. I’ve told you everything about the grilled chicken but what about the salad? After all, it is a salad recipe, isn’t it? 4. Which salad and dressing to serve with grilled chicken. 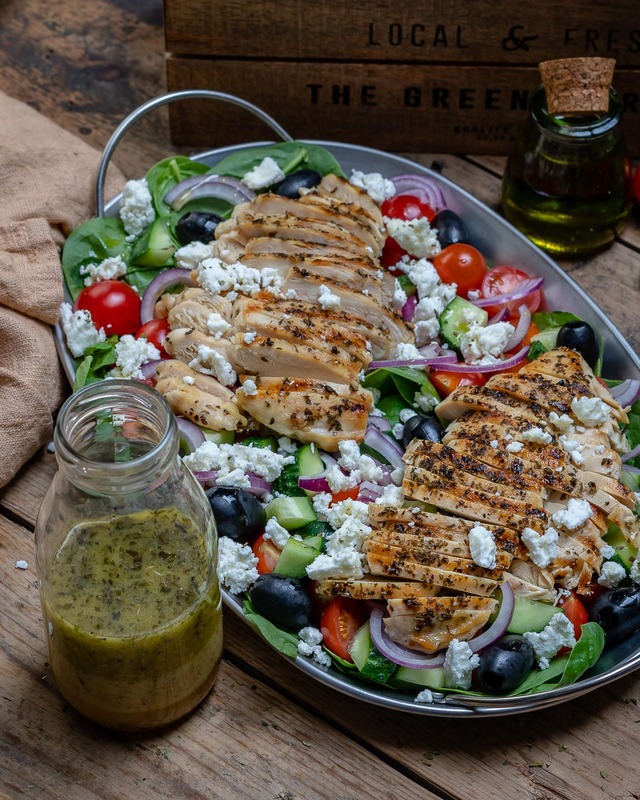 For this recipe, I mixed a simple Greek salad with spinach and grilled chicken and the combo was super delish. 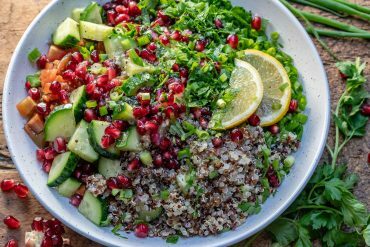 But you can change that with your favorite veggie salad as most of them go perfectly with the other two ingredients. 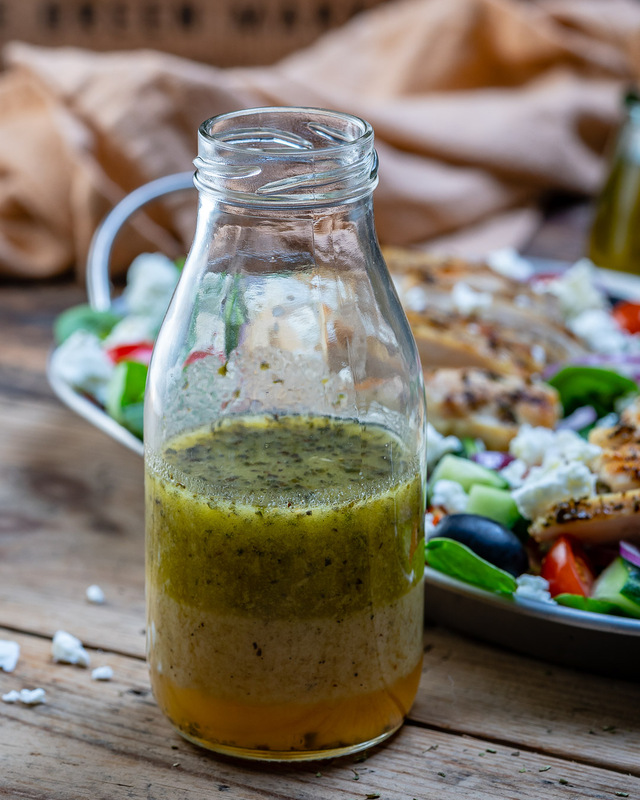 I topped everything with a delicious Greek dressing that is suitable for any salad. And you can make a large batch and refrigerate it in a lidded jar, or bottle, for up to 5 days. That will come handy especially if you do meal planning, but make you sure you add the dressing to your food only before serving. Use thin, similar-sized, boneless and skinless chicken cuts to get it cooked evenly and fast. Let the meat sit on the counter for about 30 minutes before cooking to bring it to room temperature. Marinate the chicken in the fridge for at least an hour (overnight for best results). into the thickest part and it should show 165F/75C. If you don’t have a thermometer, cut into the thickest part and the juices should run clear and the meat should no longer be pink on the inside if it’s done. 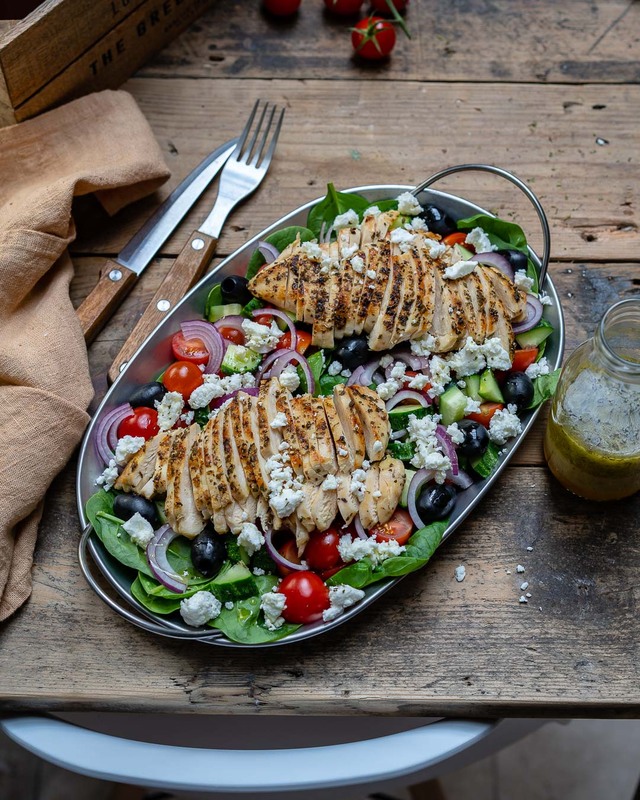 Pair the grilled chicken with your favorite salad, if the Greek one is not your fancy. 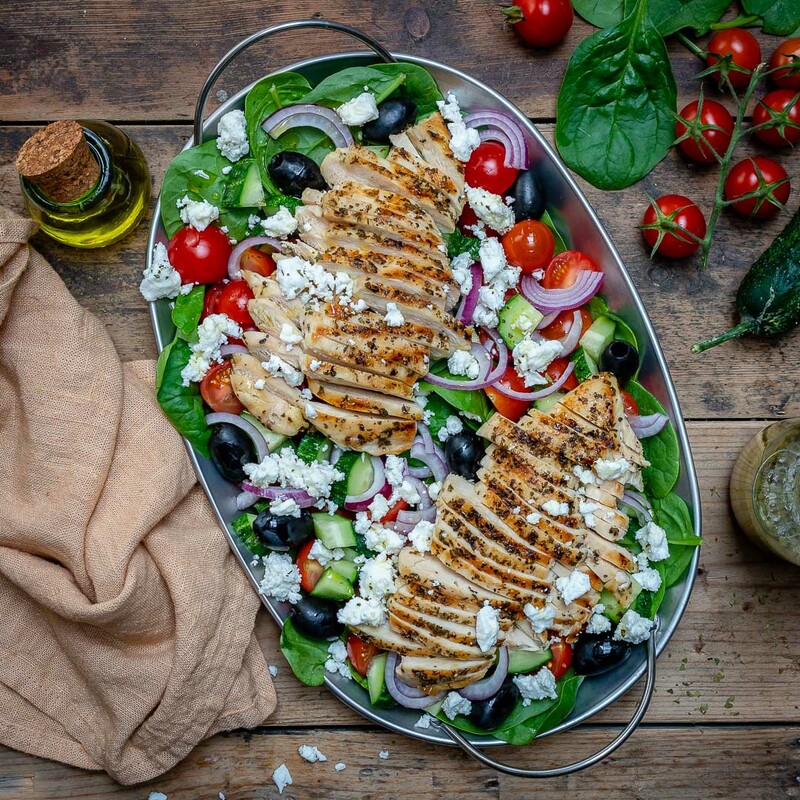 Now that you’ve armed yourselves with all these tips you will surely make the best grilled chicken salad ever. 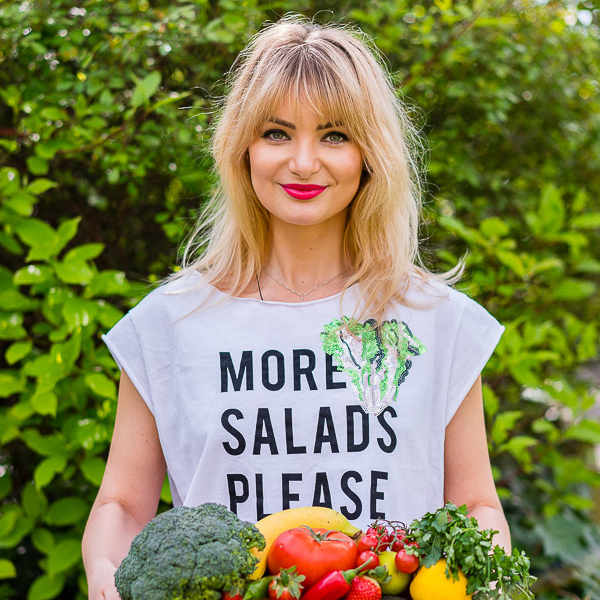 After you make it, post it on Instagram with @theblondelish as I am so curious to see how foodies make my recipes. And if you like this grilled chicken salad recipe video and want to see more like it, please Subscribe to my Youtube Channel. Now let’s wrap things up and fire up the grills, shall we? 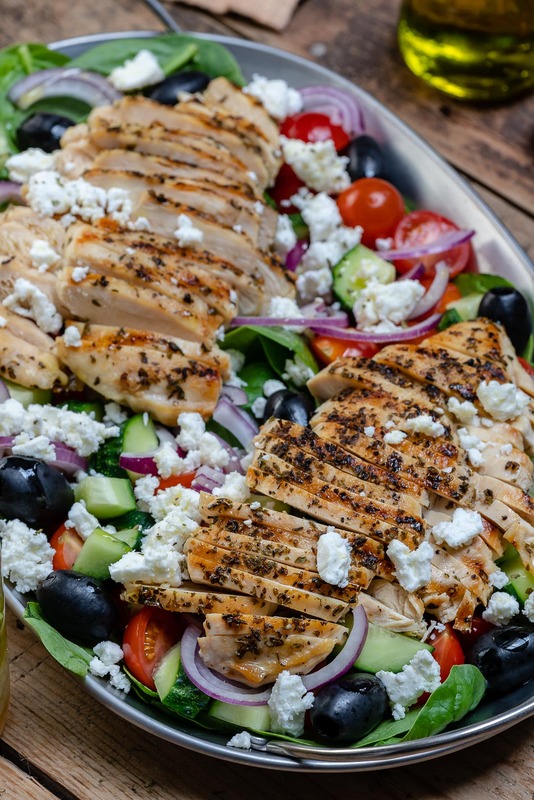 This healthy grilled chicken salad recipe is low-calorie, low-carb and you can incorporate it into many healthy diets like Mediterranean or Clean Eating. Plus, you can make it in just 30 minutes. 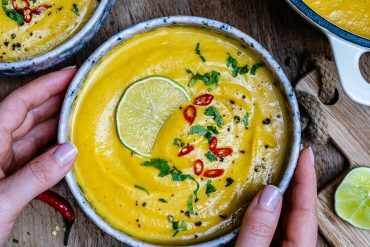 In a small bowl, whisk all dressing ingredients together. Then pour the dressing into a jar or bottle and refrigerate until ready to use. 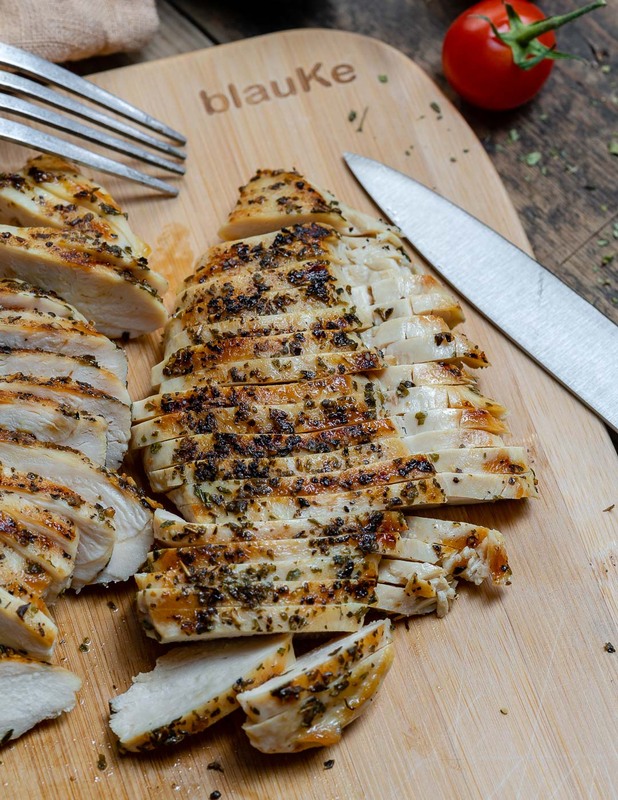 Place the chicken on a plate and season with sea salt, freshly ground black pepper and oregano. Rub well to coat on both sides. Heat a grill pan or an outdoor grill on medium-high heat and grease it with a bit of olive oil. Cook the chicken for 5-7 minutes on each side or until cooked through and no longer pink on the inside. (If using a meat thermometer, the internal temperature has to reach 75C/165F). Once the chicken is cooked, remove it from the grill and let it rest for 5 minutes before slicing. In a large bowl or platter, add baby spinach, tomatoes, cucumbers, onions, and olives. Place the sliced chicken over the veggies and top with crumbled feta cheese. Pour the dressing over and gently toss to coat.
! Please read the Tips & Tricks in the article before making this healthy grilled chicken salad recipe!